With fresh design and stunning interiors, Raheja Developer is launching a new residential project with the name of “Maheshwara” in Raheja Aranya Township in South Gurgaon, Sohna. When this developer was planning to build this development, they looked for a project that was different from others, that’s why they collaborate with the biggest names in construction & designing fields like L&T and Arabtec. Offering 2 & 3 BHK Apartments designed with the principles of Vaastu, Maheshwara has all facilities & extra amenities that meet the requirements of your standard of living. With this residential project Developer already follow the Proposed Real Estate Regulatory Bill, which is now in the parliament to making it an Act. Raheja Maheshwara Sohna is a boon for home seekers because currently it is the only development which doesn’t charge by the name of PLC, Club Membership, Escalation and many others. Offering one apartment per family on the basis of first come first serve at very reasonable price of Rs 2975 per sq. ft. Located at Sector 11 & 14, Sohna South Gurgaon on Sohna Road, close proximity from the Golf Course Extension Road, KMP Expressway and proposed metro station, this residential property keeps you in touch with Sohna & Gurgaon’s activity zones. Surrounded by famous educational institutions, medical facilities, restaurants & retail stores, you could say life begins to take on a new side of ease & luxury here. Raheja Maheshwara community assures about not just grand living ambience, but also a profitable investment opportunity in Delhi NCR. It is a residence you’ll love coming back regularly. Demand of residential projects in Sohna is increasing day by day and numerous factors have contributed to this rising demand like easy accessibility, pollution free environment, positive climate and well developed infrastructure. A residential project in this location is a life time opportunity for the home seekers and investors. Raheja Maheshwara on the foothills of Aravalli gives a feeling of resort more than a gated community. Where else can you have more time for your people and fun? In summary, more time to enjoy, After all isn’t that what a home is all about. Endeavoring to make luxury more accessible, Raheja Ayana Residencies presents yet another wing of luxury world with luxury independent floors. A low rise gated community with perfect services for the residents makes it different from other luxurious ventures. A contribution from a top NCR company, Raheja Developer has been a part of real estate in Gurgaon. This real estate giant has been involved in various residential projects in Delhi & NCR. What is lavishness to the inhabitants of these low rise floors in Gurgaon, a new arrangement of luxury home for sale, aren’t just enjoying one of the best standards of life in residential property Gurgaon has ever experienced, but also contributing in the Ayana Residencies experience – one of the finest luxury homes Delhi NCR has experienced. This new residential project has an ideal blend of aesthetically designed structure and green surroundings. 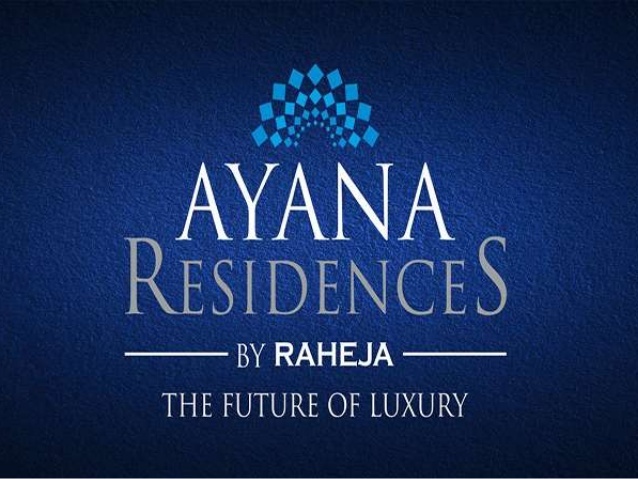 ‘Raheja Ayana Residencies’ branches from the need to craft luxury homes that have first class facilities and luxurious spaces matching a good standard of living. These Stilt + G + 3 low rise floors in the configuration of 3 & 4 BHK are no less than a home of dream and absorb an existing feel that is subtly noticeable through their architectural grandeur. The interiors have been planned with style and include branded fitting and fixtures to adorn your abode. This low rise community in Sector 79 B in Gurgaon is very much away from the noise and pollution of the metropolitan cities, and contains all, that things which is necessary for the luxury lifestyle with lush green surroundings. One of the best things about this residential community at the same time it gives you a break from the disorders of the city’s life, at the same time as it also offers you excellent connectivity from different part of NCR with the help of Proposed Metro Station & Dwarka Expressway which are located few minutes away. This residential development not only contains low rise floors, inhabitants will also enjoy the luxury of a club house, green landscape, swimming pool, walking & jogging tracks and exclusive lagoons & water parks etc. Many dream of owning a home nearby by both city’s facilities & green nature. To experience the calm breeze that carries with it stories from afar, sparkling of city life. Experience all of the abovementioned from the luxurious balconies of your house in Raheja Navodaya Gurgaon. Designed in a contemporary interpretation of international architecture, this residential project offers 1, 2, 3 & 4 BHK Condominium & Penthouse with the finest of luxury features. At these finely crafted homes, even time stretches luxuriously in appreciation of life. The living spaces are designed to stretch the definition of luxury. Touted as the second commercial capital of India, Gurgaon holds unfathomable growth potential. That’s why, Gurgaon’s main developer Raheja Presents a project that can be your gateway to prosperity. Coming up near peaceful but well connected Pataudi Road, Raheja Navodaya enjoys complete social infrastructure and outstanding connectivity to all important parts of the city. This residential project is a home for everyone who desires to enjoy the benefits of living in a city without having to put up with the chaotic life. Homes, facilities and serenity; here, you will have everything you need to get pleasure from a life complete in every way. To let you breathe free and be one with nature, we have reserved more than 80% area of the project for open spaces, amenities and gardens. Every house gets beautiful views of the amenity space or neighboring majestic greens. At here, you don’t just look forward to a wonderful apartment. Each and every fitting within the home and facility within the complex is nothing less than world-class. At this development, the splendor is set in motion right at the entrance with an striking entrance and a stylish lobby. As you step out of the state-of-the-art high speed elevators and walk under the elegant door to your, thoughtful luxury envelopes you. Raheja has accentuated the this luxury residential project in Gurgaon with vitrified flooring in living room and passage area, POP punning on walls and ceiling, modular electrical fittings, high-end sanitary ware, wash basin with counter in the bathroom, granite kitchen platform with built-in sink, and a lot more.